There is so much future ahead for young adults. So much life ahead, with infinite possibilities. These books represent that in the best way; that these protagonists are at the beginning of their stories with a whole expansive world ahead of them. And what better way to take that adventure with them, than to start at the beginning? Camille DeAngelis’s The Boy from Tomorrow is a complex and beautiful puzzle of times and places that comes together in a way that is a little bit eerie, a little bit sad, and a little bit hopeful. Twelve-year-old Alec and his mother have just moved into the old Victorian house at 444 Sparrow Street when he discovers an antique talking board in a cupboard. When he first tries to use it, he meets Josie. She is also twelve, and she also lives at 444 Sparrow Street––though one hundred years in the past. As Josie and Alec get to know one another across the insurmountable span of time, it becomes clear to Alec that he must find a way to help Josie and her little sister, Cass, escape from a danger that has long since passed. The novel grabs attention from its very first page, when Josie describes the psychic tools in her mother’s library. The house’s atmosphere is masterfully captured, both in the Victorian period and in modernity. Characters are just as thoroughly rendered, particularly Alex, Josie, and Cass, who search for friendship and belonging. The joy and sorrow of an impossible friendship across time come through. There book covers difficult topics: infidelity, divorce, child abuse, and death. These are not presented as problems to solve, but rather as realities that must be faced. The extraordinary circumstances of the story make such realities less scary, though no less real. 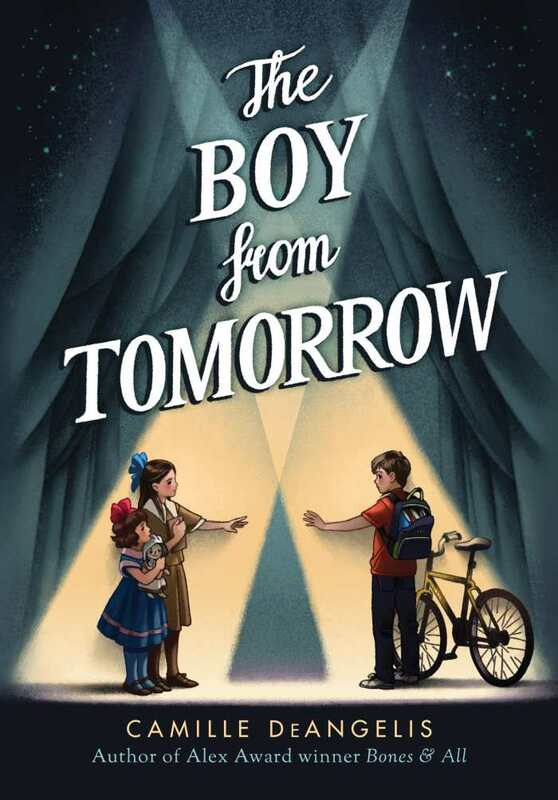 The Boy from Tomorrow is a thoroughly enjoyable fantasy that will appeal to a wide range of readers, all of whom will find it difficult to put down. Adolescent Josh is not fond of his life in Sugar Creek, Illinois, a small town where not much happens. When he learns that his mother has been seeing his ex-stepfather again despite an order of no contact, things get worse. But then an intriguing girl, Chatham, walks into his life, claiming that she’s in town to find her runaway sister. There is more to her story than what she’s telling. Josh works with Chatham and begins to learn about her past, what brought her to Sugar Creek, and how she just might hold the key to finally discovering what happened to Rachel, a four-year-old who was kidnapped twelve years ago. Blink is a tightly crafted and thoroughly satisfying mystery with a sympathetic lead who is driven by an instinct to help and protect those who need it. Josh has a troubled home life; his mom is verbally abusive, and her ex-husband is physically so. Chatham, in contrast, is a beautiful, artistic girl, though she is guarded and mysterious. Josh knows that Chatham is keeping secrets, but he wants to help her however he can. As the two characters spend time together, a believable, compelling romance develops, and it’s as easy to get caught up in their love as in the dangers they face. Blink weaves its story through multiple lives, a twelve-year time span, and a wide geographical area. It provides unexpected twists and turns at a pleasantly fast pace, and is compelling from the first page to the last. 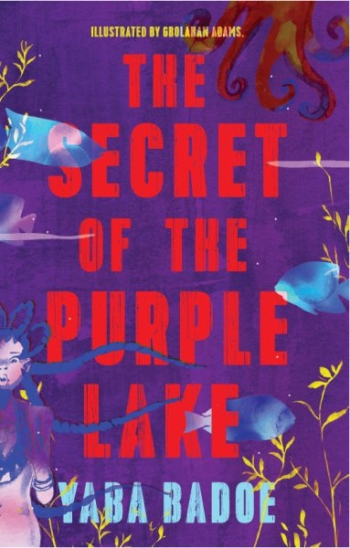 Starting with the adventure of a little girl who must find and retrieve her father’s bones from the bottom of the ocean, The Secret of the Purple Lake is a series of five compelling stories by Yaba Badoe. Each story has the rhythm and style of a folktale from long ago and far away. Each is entertaining, with magic and dangerous quests, and characters who are not entirely in control of their own destinies. Each also offers a moral lesson about how those who do not fit within the norms of society can find joy. The stories take place in very different geographical locations, including Ghana, Orkney, Norway, Spain, and Thailand, and yet they are all interconnected, with the minor characters in one story becoming the central characters of another. In this way, Badoe offers an enjoyable and thoroughly satisfying opportunity to explore the fates of some interesting creations, such as a gentle Viking who is turned into a walrus in one story, and who seeks out and finds true love in another. The stories have clear, easy-to-follow narratives. There is a notable gap in the second story, which concerns the king of Orkney and his desire for sons: From one page to the next, a fourth daughter is born and the queen disappears—but this gap is explained in a later narrative that features the queen as its protagonist. Lovely, evocative descriptions—“Flying within the clouds is like dancing on vapour and gliding above them feels like kissing the sun”—fill the text. A series of black-and-white illustrations by Gbolahan Adams complement the stories and provide visual interest. The Secret of the Purple Lake is a pleasure to read. Each highly original story takes place in a world of magic and wonder with a cast of fascinating characters who find unexpected paths to their destinies. Alice is a strong, determined young girl. As she starts her summer vacation, she is intent on accomplishing two things: getting her name on the record board at the local swimming pool, and getting her dad to move back home. Tiny Infinities by J. H. Diehl is an extraordinary and unflinchingly honest book. Each character is flawed in some way, and each is trying to make things better. Alice’s parents are reorganizing the family into separate households; they do not have the time or energy to devote to their daughter and her complaints. Alice is too young and too hurt to see that she cannot force her parents to be together. Alice’s father’s new neighbors include Piper, a child with a disability that no one can diagnose. Piper’s parents need help that Alice wants to provide. Alice’s new friend Harriet is brilliant but strange; she seems more interested in the fireflies in Alice’s backyard than she does in Alice. As summer progresses, Alice finds joy in swimming and in taking care of the neighbors, even though she is still personally unhappy. She learns that she has a strong backstroke, she learns how fireflies communicate, and she learns to help Piper. Most importantly, she learns some significant lessons about truth and lies, about personal responsibility, and about how individual choices define a life, shaping it in the space between each moment. 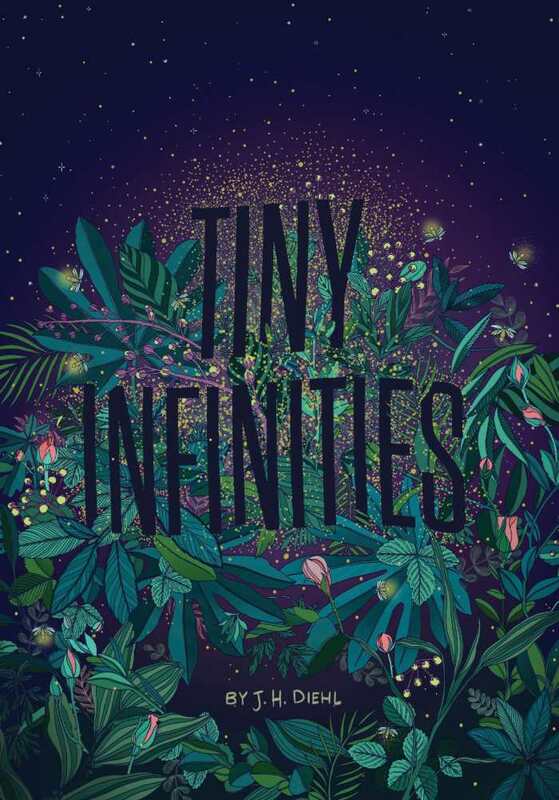 Tiny Infinities is both meaningful and memorable, and the lessons that Alice learns in one transformative summer are universal. 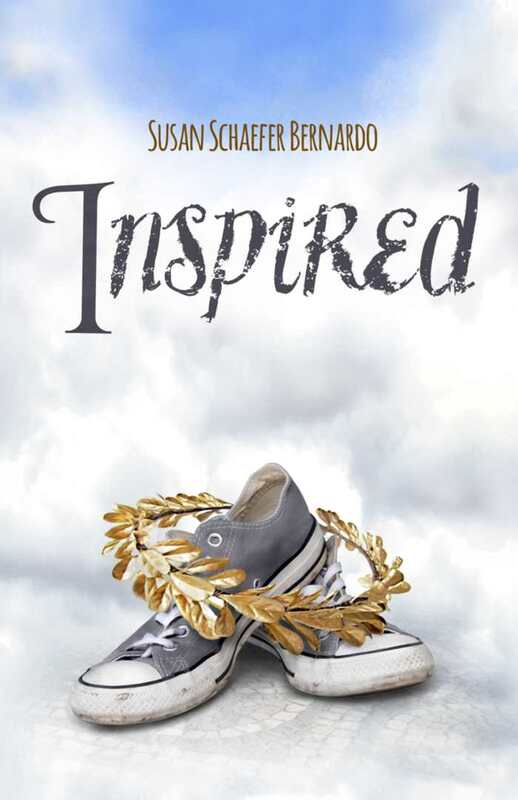 Diehl’s characters will live on in readers’ minds long after finishing the book. Joe’s big brother Ed left one day in their Aunt Karen’s car, and he never came home. He ended up in Texas, where he panicked over being pulled over without the car’s registration, tried to drive away, and was convicted of killing an officer. Ed was eighteen at the time of his arrest, and was sentenced to death. Ten years later, Joe has come to Wakeling, Texas, to support his brother as the date of his execution approaches. He loves his brother, he believes he is innocent, and he is scared and sad and alone. 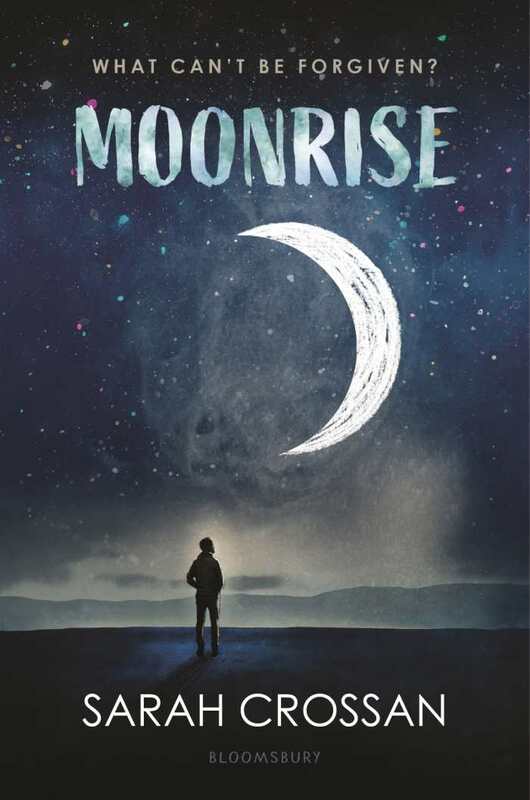 Written entirely in verse, Moonrise is beautifully told and incredibly powerful. Each verse captures a moment in Joe’s life—as he remembers the brother he loved and looked up to, as he struggles to accept the inevitability of Ed’s death, and as he works to make the moments he is allowed to see Ed mean something. Though the people of Wakeling are generally kind to him, he is isolated in his suffering, struggling to get through an impossible situation. The book examines important ethical questions about the death penalty. Ed’s guilt is in question throughout the book, and the possibility that an innocent person will be executed hangs horrendously over the text. The situation proves painful for everyone involved, including the guards and the warden who have learned to like Ed; Ed’s lawyer, who believes in both his client and the system; and Ed’s family, who love him. All are highlighted as victims of a penal system that cannot and will not consider their suffering. Deeply moving and thoughtful, Moonrise is a challenging, potent reminder that there is great injustice in the justice system and questions whether the death penalty is ever a fitting punishment.